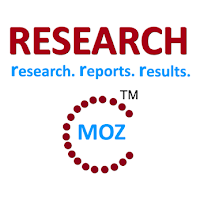 ALBANY, NY, July 2015 -- ResearchMoz.us includes new market research report " Construction machinery market in Russia 2015-2020: Global Industry Analysis, Shares, Size, Trends, Growth and Forecast " to its huge collection of research reports. This unique report presents data quantifying the value and recent growth of Russia’s construction machinery market as well as the prospects for expansion due to replacement needs and other factors. It lists the most popular brands and leading manufacturers and distributors of most popular types of construction machinery and provides analysis of macroeconomic conditions in Russia and their influence on this market. The document also supplies evaluation of the competitive environment and forecasts for market development to 2020. The macroeconomic situation in Russia – with analysis of impacts on the construction machinery market. Locate the sources of potential customer demand on this market and determine the portion attributed to replacement requirements.